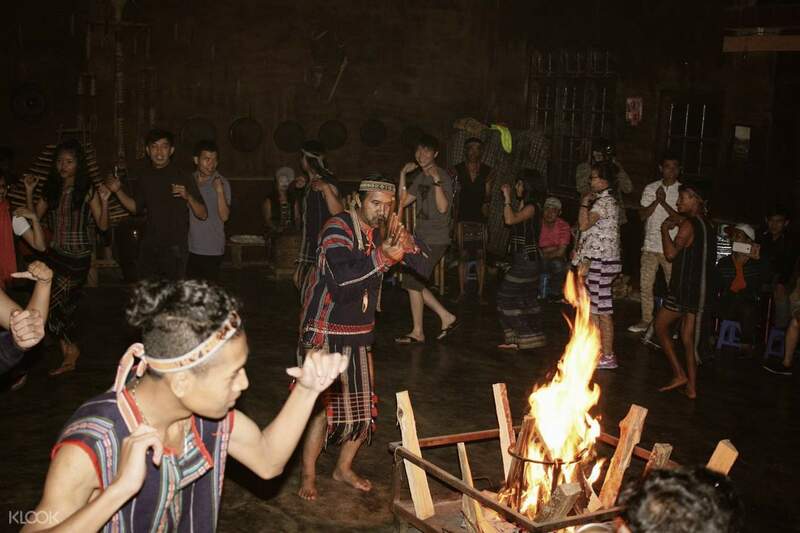 Huddle by a blazing fire and discover the enigmatic cultural space of gongs in the Central Highlands of Vietnam! Witness one of the world's Masterpieces of the Oral and Intangible Heritage of Humanity, declared by UNESCO! Foster your thirst to experience indigenous culture at the Central Highlands of Vietnam! 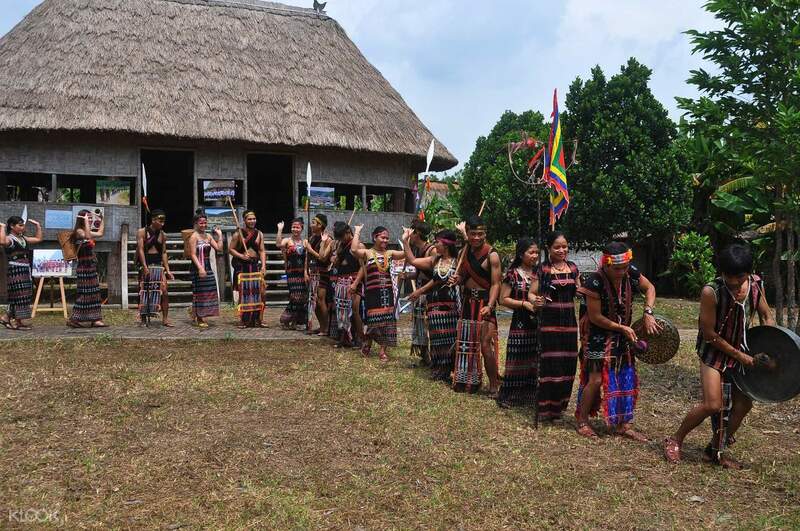 In just half a day, dance among the locals of Xa Lat Village to discover a mystifying gong performance, integral to the identity and history of the native K’Ho ethnic group. From your hotel in Da Lat, travel to the village aboard convenient transfers and arrive on time to wait for the show. As the central fire burns throughout the night, immerse yourself in the cultural space of the Gongs Show or the Cong Chieng Show! Witness the unfolding of a Masterpiece of the Oral and Intangible Heritage of Humanity as declared by UNESCO in a night of celebrating the K’Ho's way of life and beliefs. Learn how the brass instruments were regarded to create a link between humans, divine beings, and the supernatural world with the help of an English speaking guide! Follow the pounding rhythm of the gongs and resonate with the enchanting echoes of the old ways. Be part of the ritualistic setting and ceremonial gathering – enjoy a festive night with the locals and honor an irreplaceable custom of Vietnam! 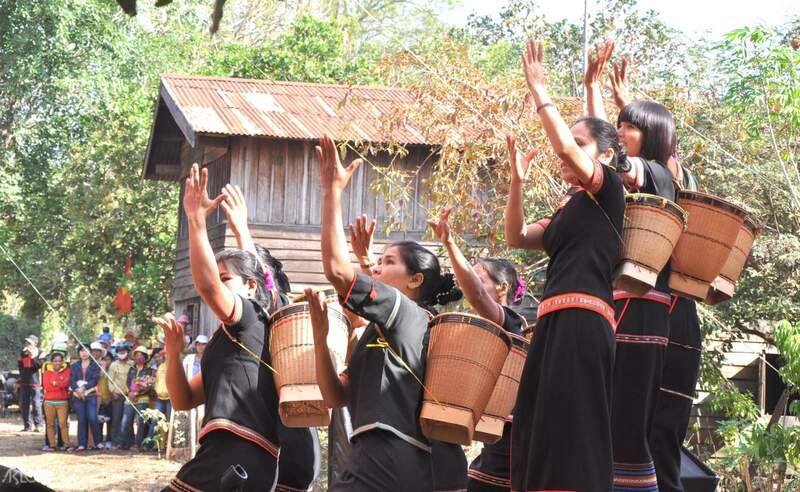 Join the bandwagon and be part of a merry bunch at this half day tour in Xa Lat Village! Be captivated with the local performers' passion in presenting the Gongs Show (Cong Chien Show)! 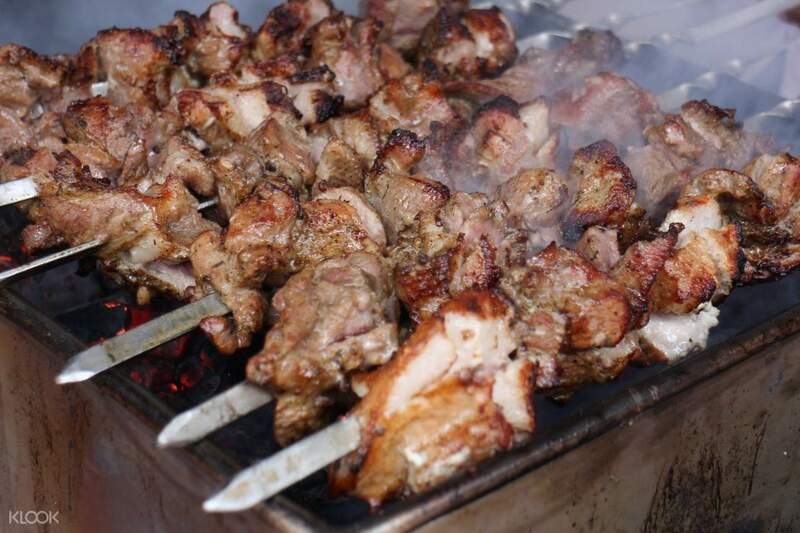 Snack on a juicy pork skewer to add a burst of flavor to your night! Pros: 1) Confirm the pickup time with me 2) Get along with the locals in dancing and playing games Cons: 1) The agent is speaking Vietnamese only 2) The whole programme is in Vietnamese only. So basically you may not know what is happening. Just play with them and that's all. Pros: 1) Confirm the pickup time with me 2) Get along with the locals in dancing and playing games Cons: 1) The agent is speaking Vietnamese only 2) The whole programme is in Vietnamese only. So basically you may not know what is happening. Just play with them and that's all. It was so boring. I thought they will show indigenous culture but the music is recorded and sounds modern. I did not finish the show though. It was so boring. I thought they will show indigenous culture but the music is recorded and sounds modern. I did not finish the show though. Thank you for raising your concern to us. We sincerely regret to hear that you encountered an inconvenience with your booking. We take your feedback extremely seriously. Your case has been noted and passed to the local operator for further investigating. Our specialist has already been assisting you with this query. Your understanding will be much appreciated. Thank you for raising your concern to us. We sincerely regret to hear that you encountered an inconvenience with your booking. We take your feedback extremely seriously. Your case has been noted and passed to the local operator for further investigating. Our specialist has already been assisting you with this query. Your understanding will be much appreciated. Organized in the house, no longer do the outdoors close to the mountain like before. Going in crowded places will be very disturbing. Tổ chức trong nhà, không còn làm ngoài trời sát núi như xưa. Đi lúc đông người sẽ rất nhốn nháo.